In keeping with my revamps of Museum of Transportation vehicles, I present to you this updated 4-8-4 steam engine modeled after 4460: the Forgotten Daylight. During World War II, the US Government controlled the railway locomotive builders, one of which was Lima. Southern Pacific submitted a order to Lima Locomotive Works for 16 new 4-8-4 steam engines, (known as Daylights) which was turned down. 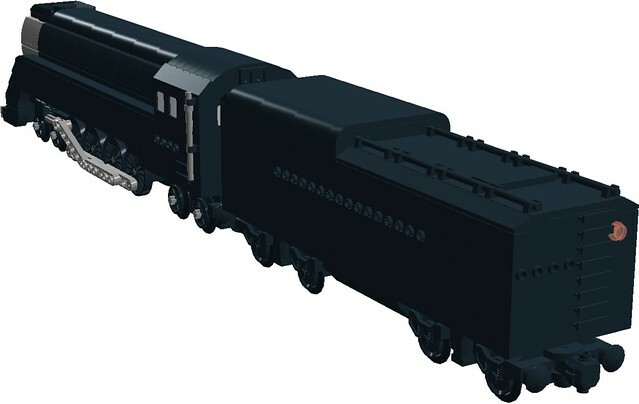 Southern Pacific reworked the blueprints to have little streamlining, and not feature the Daylight's color scheme of orange, red and black. These new engines were painted in silver and black, and were also smaller. Lima finally green-lighted the order in 1943, but with one condition: Six engines would be taken from the order and given to the power-starved Western Pacific Railroad. Because of their smaller size and the fact they were built during WWII gave these engine the names "Baby Daylights" and "War Babies". Officially, they were called GS-6 and numbered 4460 - 4469. (GS meaning General Service or Golden State, and 6 because they were the sixth batch of engines.) Only one of the GS-6 type survives: 4460, often referred to as the Forgotten Daylight when compared to it's famous GS-4 cousin 4449. 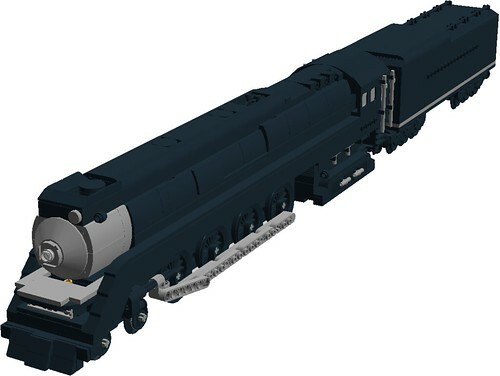 This model of the engine will be built as soon as funds allow, as it costs $170 US from five Bricklink sellers. This time the engine has new pistons derived from 4-8-0 Mastodon making this engine into a true 4-8-4 instead of having a two wheel pony truck at the front with two small wheels before the drivers but on the same frame. (this technically made it into a 2-10-4 before I fixed it.) Speaking of 2-10-4's, this engine is made to be the same size as that type, making them shed mates on my layout. As usual, the tender is the same one as before because if it ain't broke, don't fix it. 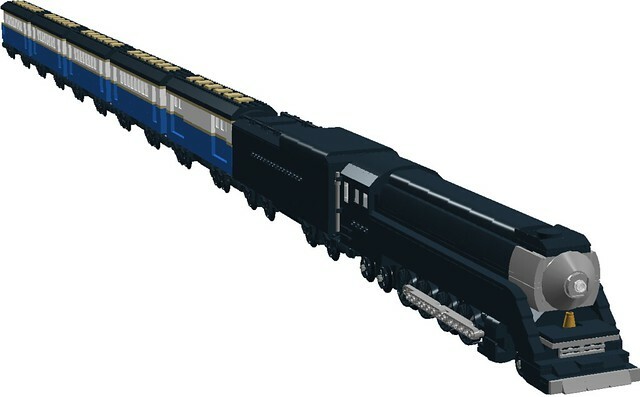 The engine will have "SOUTHERN PACIFIC" in printed tiles on the tender sides, with "4460" on the cab sides and tender rear. Here is the steam engine 4460 waiting for orders sometime in it's working life. (Picture from the Facebook page of the National Railway Historical Society, St Louis Chapter) It is NOT my photo! 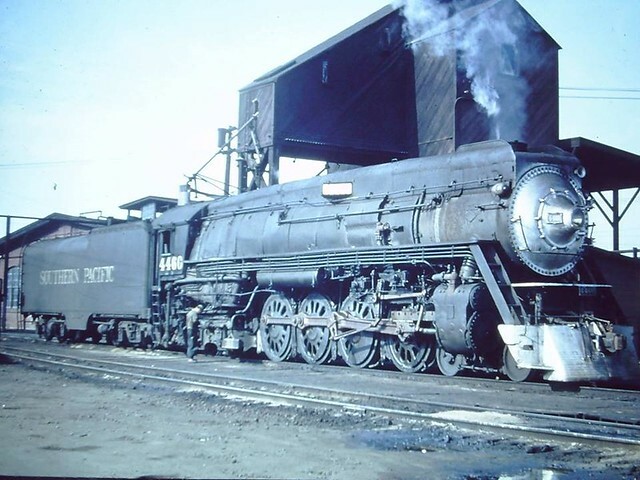 Quoting Jan Snyder (who posted to my original MOCpage for this engine's first version): "I remember, very well, the 'funeral' held for the 4460--the last run of the SP steam engines. At the time, I was an 12 year old Boy Scout bugler who was asked to play taps. They had me stand on the engine, at the left front side, and the crowd of people seemed massive for a kid my age. A photo, published in the next morning's Oakland Tribune, recently turned up on a collection. That photo hangs on my office wall with fond memories." 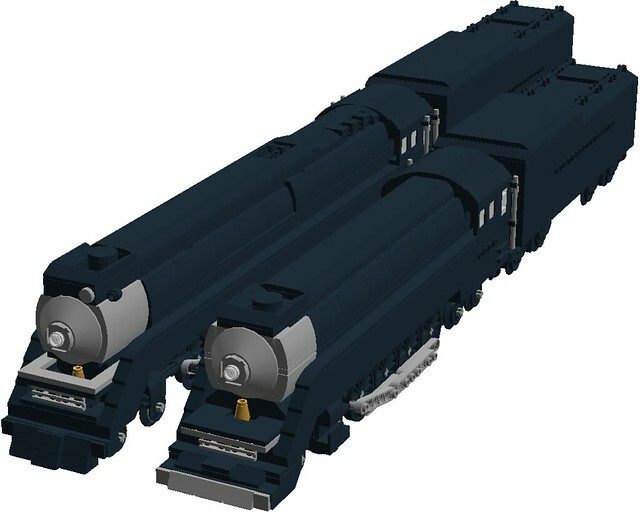 Also, there are two parts missing from the pictures but are in the LDD file: the connecting rods that go into the pistons. These were giving me trouble so I put them next to the model. EDIT: And here is the locomotive in real life! This picture shows how much overhang (not much, really) the engine has in standard LEGO curves. This picture is slightly out of focus. Sorry! 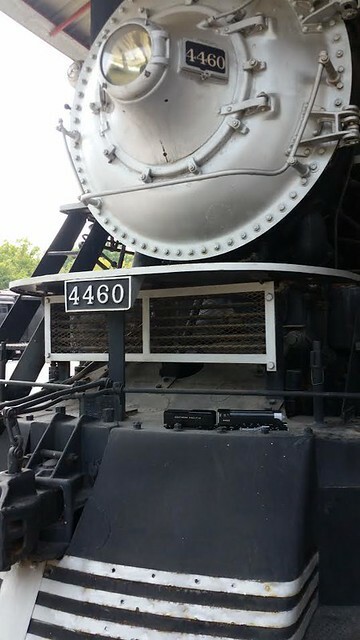 Today, the engine sits in a off-limits area (I received permission to take this photo from museum staff) and is barely visible to visitors, only by knowing where to look in the Roberts Shed and leaning over a railing can you see the beauty that is 4460. Thank you. I couldn't have done it without Anthony Sava's many helpful instructions which built up my arsenal of helpful tricks, and JD Davis' Daylight model. (from which the boiler was inspired by) and the Daylight project on Ideas, from whom the original version and the tender were heavily drawn from. Thanks also to all the people who helped trouble-shoot various problems with the first two models! You cannot go wrong following in the footsteps of Mr. Sava. He is one of the train masters in the Lego world. One of these days I will have enough vacation time to make a trip to one of the Texas Brick Railroad's displays. I agree 100%, he truly is a Master Train Builder. Great job on this loco. Does it use standard LEGO wheels or BBB wheels? Have you posted your XL 4460 as well? Can you compare them side-by-side? Yes, standard Lego wheels. I'll get right on the comparison photo. for Eurobricks: version 2 on left, version 3 on right. The Version 2 model doesn't fit in my XL train shed, length or width wise! Again, two on top, three on bottom. I really think version 3 is WAY better. That's quite the feat! Version 2 appears to be proportionally accurate to the 4460, but version 3 is more to LEGO scale (a little blunter, but not exceedingly so). I can see merits in both. Thank you for posting the LDD files. I built Sava's 4449 and modded it somewhat. It looks fantastic on a full-size layout, but not so much on a compact layout. I can see your version 2 saving you at least $100+ in real brick, too (without the expensive BBB wheels, orange pieces, and smaller piece count). I agree 100% with you. Version 2 would be good to display at shows & conventions, but bad for my small scale 11 x 4 foot layout. I calculated version 2 at $230 (with printed tiles) a couple months back. Hopefully, Version 3 is way less money than that. Update: I have calculate version 3 at about $150 USD, while, version 2 is around $230. now all i have to do is save enough money to buy version 3. Also, here's a simple picture I made for my computer desktop, showing off Barretts Station with Southern Pacific 4460. Here is the steam engine 4460 steaming and alive sometime in it's working life. (Picture from the Facebook page of the National Railway Historical Society, St Louis Chapter) IT IS NOT MY PHOTO! April 16, 1959, Fifty-six years ago this month, the last Daylight to run in revenue service was handed over to the Museum of Transportation in St. Louis, Missouri. It has since sat there, trough several generations of museum visitors, awing and inspiring children and adults with it's semi-streamlined exterior. It has been moved occasionally, but never fired up since it's last run in Oakland, California in 1958, when a local boy scout named Jan Snyder played taps for the final steamer to run in regular service on the Southern Pacific. When I see these engines, such as 4460, I don't see tombs of steam and steel. On cold and snowy winter Saturdays in the museum when no one else is around, and you listen very, very closely, they speak the language of squealing brakes and shrieking whistles, of high drivers and and hot boxes, of slow drag freights and fast passenger trains. You see, these train were living and breathing once, and I believe their ghosts haunt the shells of cold steel, just waiting to be become warm and alive once more. Here is SP 4460 in a new file pulling a excursion train. These coaches are based on a real world prototypes used by a 12-inch gauge steam railway called the Wabash Frisco & Pacific, also known as the WF&P. (see here http://www.wfprr.com/WFPRR/ ) The baggage car and observation car were my own idea though. Eventually I would like to purchase these models plus the Forgotten Daylight 4460 and show them to the real WF&P through the local Lego User Group, (Gateway LUG) and it's show at the WF&P in October. The rear of the train features a observation platform and a single red light. I last touched these train cars in this form in July 2014. I think the basic look is what draws me in, as all my other cars like these look too "busy". The scarce details of this model are a salute to my very early models (2008-ish) which lacked many details, but still looked prototypical in a way. Iv'e calculated version 3 of the 4460 out in parts, and int's going to be $150 USD. That's $80 less than Version 2 (the bigger model)! It would be 130, if i wait on the printed name / number tiles. The first post has been substantially updated to include a new LDD file, pictures and real-world background info for the GS-6 engine class. The model has had many changes made to the frame / wheel arrangement / front bogie to make it into a true 4-8-4. I also parted the engine out to the tune of $170 (US), which should (fingers crossed) be purchased soon, at least by next month. Also, I'm sorry if updating these models bothers anyone. I'll stop if need be. How can we be bothers to learn about such nice work? 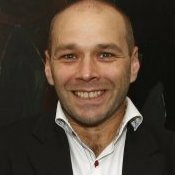 Only huge thanks from here! Anyway, I ordered the engine's parts last Wednesday and the total came too just over $170 USD with shipping and handling not included. 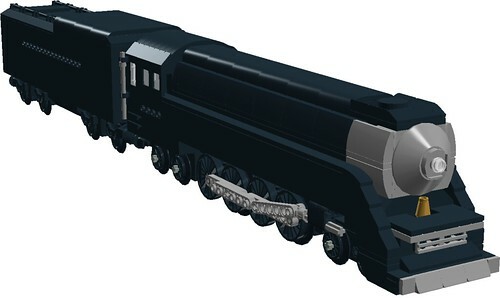 Here is the 4460 in it's original form, uploaded to Flickr on August 8th 2013 and originally created by Flickr user BricArtist4U, (also on Cuusoo as Brickmania4U) It was made in the style of 4449's red, orange and black scheme, which I modified into this War-time black & gray, as the engine was never painted in Daylight colors. 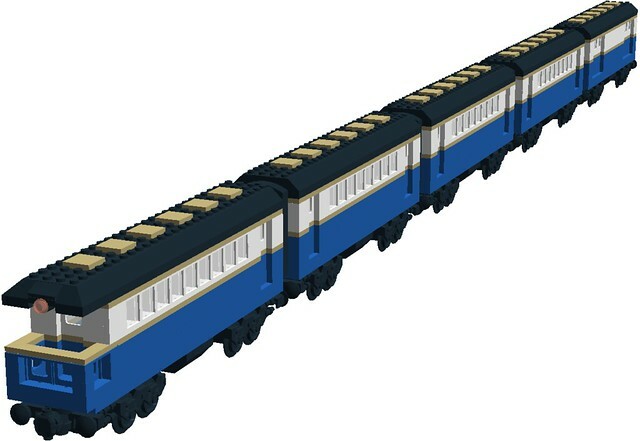 The pistons, tender and cab have been changed from the LXF provided by Brickmania via LEGO.com's LDD gallery. This engine from July 2015! 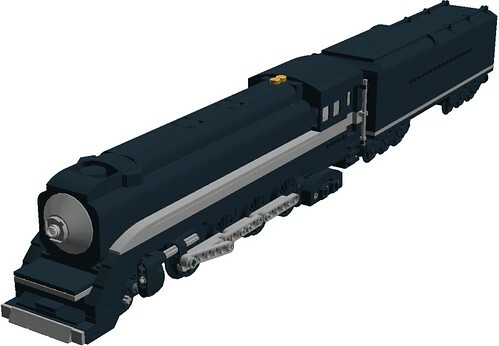 It was originally inspired by SavatheAggie's 2-6-4 Pacific, but it now uses design cues from his 2-8-4 Berkshire, the Emerald Night,LEGO set, the pistons from Zephyr1934's lone Ranger engine MOD and the original tender frame from the first incarnation of the 4460. This is the version's parts that were ordered (plus a couple last minute fixes), and they should be here by sometime next week. This engine isn't too long or too wide and feels like it's proportional to the real thing. This is the model that has been parted out and ordered. It should be here by next week / weekend. Thanks to everyone who has helped me on this journey from the very beginning way back in 2013, all the way up to last week. SavatheAggie, Zephyr1934, ScotNick1, Fireglo450, J D Davis, and many more friends, sources of inspiration, and teachers from so many websites that I couldn't possibly list all of the people or places. Keep watching this space for pictures of the built locomotive, coming sometime next week! Really looking forward to seeing this in brick form as I want to build one as well! $170US plus postage seems pretty reasonable too! Sorry for the long wait, my last order for this engine (of 30 USD worth of parts) got lost in the mail. So I ordered some more parts from another two sellers and they should be here soon. Once again, sorry for the long wait. Any other pictures you might need in order to build you own? wow! She looks awesome! is she powered? Thanks, and no she is not powered. That's awesome! Great build! It will be a while before I get to making one... just starting working on my new layout so no additional funds for new loco's just yet! take your time, there is no rush. I would like to see what you do with the design though, so please make a topic / post when you built it!